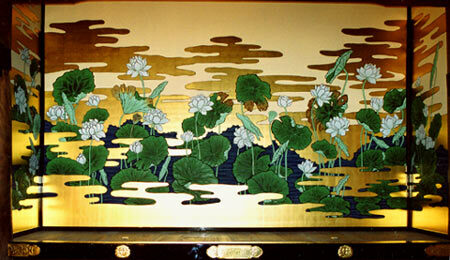 In mural paintings, the supportive material diverse from gold leaf papers to Torinoko papers. 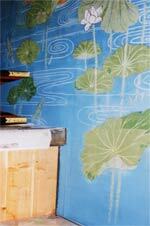 Most of mural paintings are painted in large size, we can arrange the compositions to fit proper in the constructions. 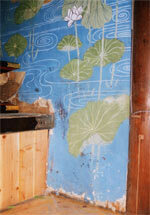 This is an example of restoration of lotus flower murals. The paper become deteriorated over time. The paper was damaged over time and edges are turned outward due to humidity. 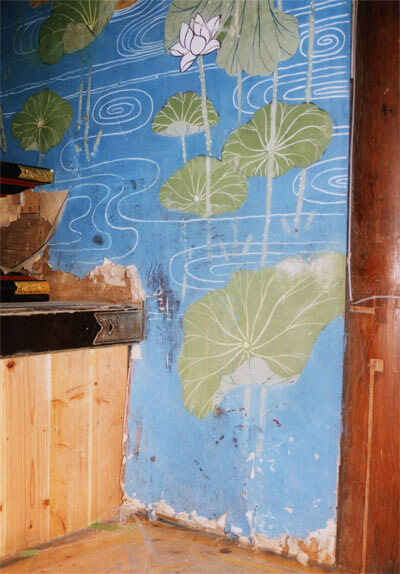 A mural damaged due to humidity and temperature variation and deterioration of glue. Ripped parts and cracked colors can be observed. 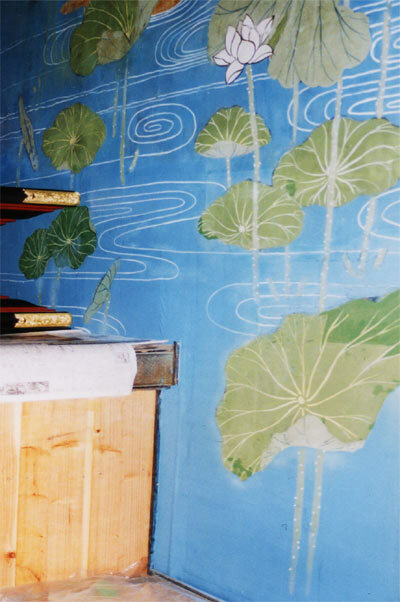 The murals of lotus flowers was restored maintaining its original image. 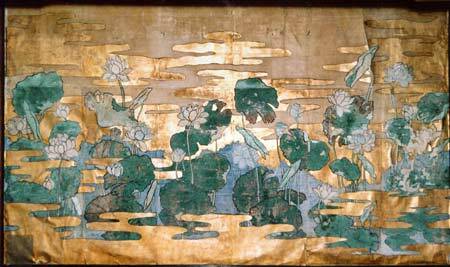 This is an example for repairing mural paintings of lotus pond on old Torinoko paper. The paper and colors are damaged over time and edges are turned outward due to humidity and deterioration of glue. In this case, we repaired damaged parts to fit in its original conditions. The repair was done precisely close to its original image. First, cut off damaged parts and paste new glue. Leave undamaged parts if possible. Second, insert new papers to lost parts. Third, draw rest of details of the murals.